Why Follow Bloggers On Instagram? Posted On November 11, 2014 by Team iCynosure. It is a picturesque world and as I’m armed with a smartphone, I go clicking pictures all the time. And for someone as keen on clicking and sharing pictures, Instagram is the place to be. Thinking to myself ‘how many platforms can one really be on? I need to put a line somewhere to stop’. Though initially, I was a bit reluctant to join Instagram, I gave in to my interest and joined the platform a couple of months ago. And since then when I dress I Instagram, when I dine out I Instagram, when I get a good photo opportunity I Instagram. Instagram is certainly addictive and super fun and easy to use. Instagram gives you a sneak peek into a blogger’s life much beyond the blog. Apart from my niche, you will see pictures of my interests, my lifestyle, things I do, etc, etc. Instagram offers a more personal friendship. As a #fashionblogger my posts will be all articulated, meticulously styled and near perfect. My blog will reflect what I’d love to wear, how best it would be to style. However, on my Instagram feed, you will see what I actually wear on a day-to-day basis. When something fancy catches my eye it goes on to the lust list on Instagram. Isn’t that something you want to keep an eye out for, too? Flaunting goodies I receive from time to time also makes it on the feed. An honest thumbs up or down in the picture detail gives one first-person account of what I think about it. As a blogger, I receive loads of information about what products are going to be launched, what’s the new trend to hit the fashion industry and many a time I get these products/services offered to me much before they are available in the market. What better than Instagram to keep you updated as well as I Instagram the details. No extra points for guessing that I get invited to brand events, fashion shows, store launches and collection previews. The best way to know everything about these is Instagram as its instant sharing. Not only would you see the hits and misses but also get to meet my friends and get to know about different blogs and bloggers. Event pictures with friends are the most fun things, ever. Last but not the least, Instagram is instant connection. So the basic point is to ‘Hit Follow’ and get to know amazing things about your favourite bloggers. Can't get enough of me at #iCynosure? Follow me on Instagram for more. An interesting post. 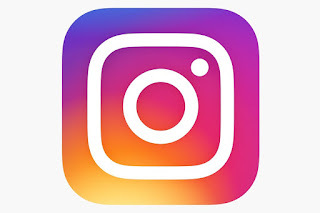 Good for those who dont know about Instagram.